UPDATE: Lots of new languages are in play on the discussion thread linked below. We'll let the discussion fizz a couple more days and then break it up into language-specific threads to get things started. Thanks, Y'all! 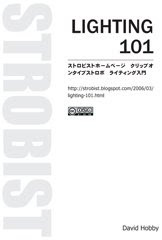 Thanks to the multi-lingual talents of reader Andrew Dahms, I am happy to announce that Lighting 101 is now available in Japanese as a downloadable PDF. The document is being released with a Creative Commons license under which it can be printed out, shared and/or hosted anywhere. The only restrictions are that it cannot be altered or used commercially, and attribution must be included. Keep reading for more -- including the Japanese download link, other PDFs in the pipeline and how to help translate Lighting 101 into your own language. Having a slew of foreign language sites is good in theory, but in practice tends to create more administrative problems than it solves. As the content creator, I need to keep control over the site's original material. But even being loosely involved with administering a couple dozen translation sites is beyond my capabilities at this point. And while the written material on Strobist is free -- and always will be -- it is only when people actually visit the site that the economic model of free content works. Not only do the advertisers pick up the tab, but some have actually altered their focus to better serve the site's readers. That's way cool. But I have to center the readership here for that to keep working. The solution was to translate the core unit on the site into multiple languages within a locked document format. Hopefully, many people will benefit from the translated L101, and enough of them will trickle in to read more in English so that it will have been worth the traffic dilution. The first L101 translation to be released is Japanese. It is available via MediaFire, here. Japan has vibrant photographic community, and it is my hope that some Japanese-speaking photographers will benefit from being exposed to Lighting 101. If you are part of the Japanese online community (we had 3,451 visits from Japan last month) I hope you will help to seed this Lighting 101 module into some of the Japanese language photo sites. You are free to link to the MediaFire hosting site where it is now, or to download and host/post/share it in any way you like. Just do not alter it or charge for it -- it is meant to be free. And, thanks to the intrepid Rafa Barbera, who has been running the Strobist en Español site, Lighting 101 will soon be available in Spanish as a PDF. Constructing a mirror site is an ongoing commitment on both ends. So for now, translated PDFs will be the way to go. Lighting 101 is also being translated into Mandarin Chinese, thanks to the efforts of reader David Li. As there already are Italian, German and Danish Strobist groups on Flickr, my guess is they will happen as PDFs, too. More on that below. If you are a long-time reader of the site and are native in some other language, you can help to spread the information in Lighting 101 to others. I am looking to crowdsource the process and will gratefully accept the efforts of anyone who wants to chip in. Many hands make light work, so my preference is to use a team of translators for a given language. If we can get a few people willing to pitch in, I will be more than happy to greenlight a translation PDF and host it. French, Hungarian, Swedish, Klingon -- whatever. The more the merrier. • A project lead: This person will coordinate the group's translation efforts and help with translation. 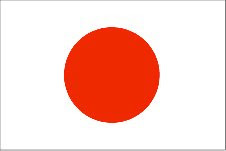 • A designer: Someone who can create a PDF document similar to the Japanese example released today -- could also help with translation. A designer could also be a project lead, if they were willing to serve in both capacities. • An editor: Someone who was not involved in the translation, to make sure the translation is faithful to the original. • Additional translators: Several people working together in this capacity will make the project easily doable. Ideally, translators would be native speakers of the target language, be fluent in English and be very familiar with the material (i.e., long-time readers). Once a team has come together to translate into a given language, I'll get it started, including some additional guidelines, Creative Commons image files, etc. Bear in mind that this is a bit of an experiment, based on the ideas and generous volunteer efforts of those responsible for the languages already in translation. I think it is a wonderful idea, and an ideal way to pay forward any help that this site may have been in broadening your understanding of small-flash lighting. I have set up a Lighting 101 Translation Thread on Flickr. If you are not already on Flickr, you will need to sign up for a (free) account to be involved. From there, groups can form into various languages, share documents via email (or Flickr mail) and coordinate with me. I will vet each translation before releasing it on the site in its official form, so please to not turn them out in to the wild before they are complete. I will also monitor the translation thread and answer any questions that pop up. Please ask them there. For those who choose to get involved in a translation project, my sincere and heartfelt thanks and the thanks of those who speak your language who will learn more about lighting as a result of your efforts. Ditto for those of you who help to propagate the translated documents into your native language site and discussion fora. I can tell you from experience of running this site that it is a wonderful feeling to be a conduit for knowledge that goes on to help many people -- and that good feeling never goes away.